MS affects nearly 2.5 million people worldwide. It is an autoimmune neurodegenerative disorder, where the immune system attacks the myelin sheath that surrounds and protect nerve fibers. Neurons progressively lose their ability to transmit electrical signals, resulting in loss of vision, weakness, walking difficulties, as well as problems with coordination and balance. There is currently no cure for the disease; treatment aims to prevent the immune system from doing more harm. Clemastine fumarate was first approved by the FDA in 1977 for treating allergies. Based on previous laboratory studies, researchers believe the antihistamine exerts its affects by repairing damage done to the myelin sheath by MS. This insulating membrane speeds transmission of electrical signals in the nervous system. In this drug trial the research team used a method known as visual evoked potentials to assess clemastine’s therapeutic effects. They found that during the periods when a test group was taking the drug, the neural signal from the eye to the back of the brain was significantly accelerated over the baseline measurements taken before the patients began the study. Because current MRI techniques do not allow for direct observation of the rebuilding of myelin, Dr. Green and the senior author of the recent of the study, Jonah R. Chan, Ph.D. had to rely on the increased speed of neural transmission as evidence that the medication promotes myelin formation. 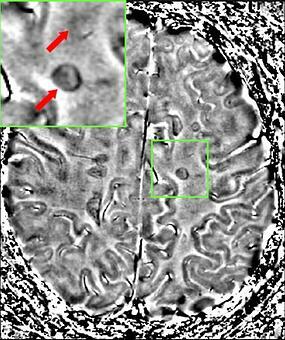 “We still don’t have imaging methods that have been proven to be able to detect remyelination in humans,” said Chan. So Dr. Chan and Dr. Green are currently searching for a way to capture the images of the myelin sheath being repaired. Meanwhile, thanks to funding from the National Institute of Health, as well as the support from the Rachleff foundation, they hope to translate their findings regarding this antihistamine into a treatment for MS patients in the near future. So far, UCSF has received over $431 million in research funding from the NIH in 2017. Dr. Chan, Ph.D. was awarded nearly a million dollars for his research by the NIH’s National Institute of Neurological Disorders and Stroke (NINDS). In addition, both he and Ari Green, MD, were supported by multimillion, multiyear fellowships from the Andrew and Debbie Rachleff foundation. 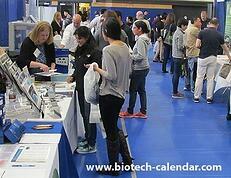 Biotechnology Calendar Inc. will host two biotech trade show events at UCSF this January. Laboratory equipment suppliers wishing to improve their lab product sales in 2018 can display their products on January 17th at the Mission Bay Campus or on the 18th at the Parnassus Campus. This bioresearch product faire is a great opportunity to meet face to face with the well funded researchers of UCSF and discuss their lab supply needs.